Entry Doors That Welcome You Home. Perma-Door's unique Stainable Steel doors have a classic wood-grain texture deeply embossed directly into the steel facing. This wood graining matches the architecturally correct style and rail graining found in real oak doors. A special top-coating is applied that permanently bonds to the steel and accepts stain to give you a real wood look. 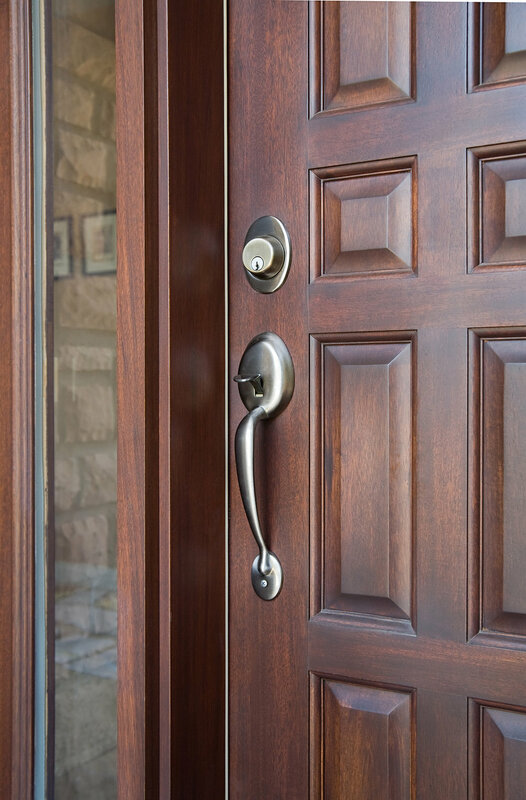 Your new Perma-Door Stainable Steel door can also be painted to match any interior trim. Every Perma-Door Stainable Steel door is constructed with 22-guage inner and outer steel face sheets for added strength, durability and security. And since Perma-Door's Stainable Steel doors are made with top quality steel, they won't crack, warp, twist or rot. Even denting is more difficult. And that means years of easy maintenance and trouble-free service for you the homeowner.